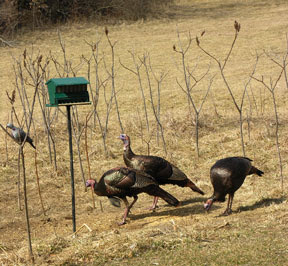 Wild turkeys have been visiting our bird feeder. 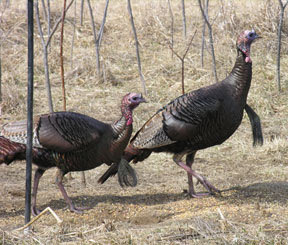 Three nice toms, nicknamed Huey, Louie & Dewey, let you watch them from the door and only move away when the door is opened. Here's some pictures.